With only two months left on the calendar until Christmas, its time to start thinking about how to outdo the neighbours and impress the in-laws with your fancy decorations and displays this winter. Are you dreading spending hours untangling Christmas tree lights this weekend? Or wondering how to create that ‘full look’ on your mantelpiece or staircase? Let me introduce you to your golden ticket to a quick and easy Christmas display that takes minutes to do, but will have your friends thinking you’ve spent hours on transforming your home into a winter wonderland. I have three words for you… Christmas Cluster Lights! If you haven’t already checked out our Christmas cluster lights in our shop then you have to. 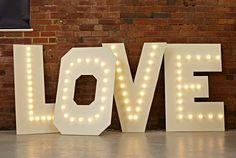 All the cluster light garlands come with 8 fabulous lighting effects and with 3 different lengths, 2 different cable colours and a choice of cosy warm white or contemporary ice white LED’s, there’s something to suit every style of decor. So, you’ve bought your cluster lights and they’ve arrived in the post but now you don’t know what to do with them – that’s where I come in… Here’s 5 simple yet stylish ways to use your cluster light garland this Christmas to create that festive feel in a flash. Give your mantelpiece a touch of festive flare this Christmas and create stunning displays to rival those in the glossy magazines for half the price and half the effort. Depending on the length of your mantelpiece and the look you want to achieve, opt for the 3 metres of cluster light garland to cover the top of your fireplace and trail down the sides creating a beautiful glow once illuminated. If your style is classic and traditional, team the warm white cluster lights on black cable with a green leafy garland and add some red or gold baubles for a really full and classic display. If you have more of a contemporary home, go for the crisp white LED’s on the clear cable and partner with metallic hues and muted shades such as white, silver or grey for a modern feel. Add some final touches to your fireplace with our super safe LED pillar candles and LED tea lights and pop some of our copper wire lights inside mason jars and lanterns to complete your festive look. Use the cluster fairy lights to add sophisticated sparkle to your staircase this winter. Whether you’re dressing a few steps or four flights of stairs, the cluster light garlands are a perfect way to make your bannister or balustrade brilliant during the festive period. For me, the best thing about this garland is it looks great just sitting on it’s own woven through railings or candy caned around a newel at the bottom of the stairs which requires minimal effort, meaning more time for mulled wine and mince pies – sounds perfect to me! If you’re dressing a few floors of stairs then opt for our gigantic 13.5 metre cluster light garland to give you enough length to wrap through every post along your bannister and if you do fancy adding that little bit extra to your decoration, tie some baubles around the clusters in complimenting colours as a final touch. Be the most envied house on the street and welcome your guests in style with a winning window display this Christmas. Simply place the cluster light garland on your windowsill for an effortless yet elegant decoration that casts a warm and inviting glow across the room, or get your creative cap on and attach the garland to the window frame for a fabulous festive flare. Going for a modern look? Opt for the clear 3 metre garland with ice white cluster lights and match it with our white star candle bridge for a fresh contemporary style or if you’re keeping it traditional, try our Wee Willie Winkie style chamber candle and a green leafy garland with the black cable and cosy warm white LEDs to create that classic, timeless look during those wintery months. No festive home is complete without a Christmas tree and it’s a known fact that the bigger the better! If you love your tree but loathe having to decorate it, the cluster Christmas lights are your saviour once again. Doubling up as both fairy lights AND tinsel rolled into one, the clusters of cables sprinkled with cosy, warm white LED’s will have your tree looking fuller and more festive in seconds. If you’re still yearning for that added something, dare to go bold with some bright, contemporary baubles in purple, turquoise and lime green or keep it classic with timeless reds and gold’s. 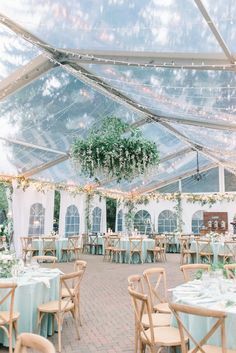 While you’re so busy dressing the inside of your home, don’t forget about making the outside look just as stunning! Give your front porch some pampering with our 6-metre black cable cluster fairy lights. If you’re a bit of a minimalist and enjoy the simple things in life, then this is the perfect way to decorate your front door in seconds. 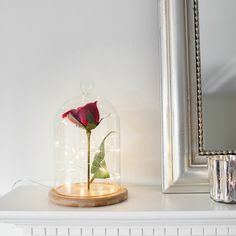 Simply drape the cluster fairy light around your doorframe for an instant uplift and feed the super thin and flexible lead wire under the door to plug it in inside your cosy home. Add some finishing touches with a wreath wrapped in our outdoor battery lights and some of our super cute 3D Christmas figures dotted about your lawn and I guarantee you’ll have the neighbours turning green with envy! 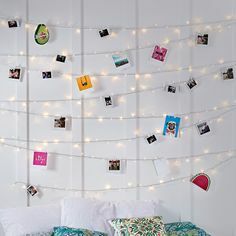 So there we have it, five really quick and easy ways to style your home using cluster fairy lights this winter. 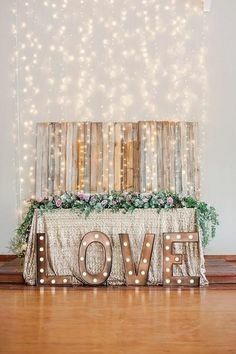 Whether you decide to go for all five or just stick to one of these fab ideas, our cluster fairy lights really are the key to a simply stylish Christmas. 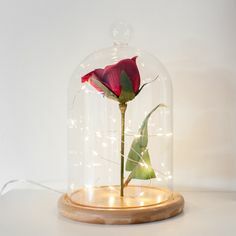 Perfect home decor with lighting.